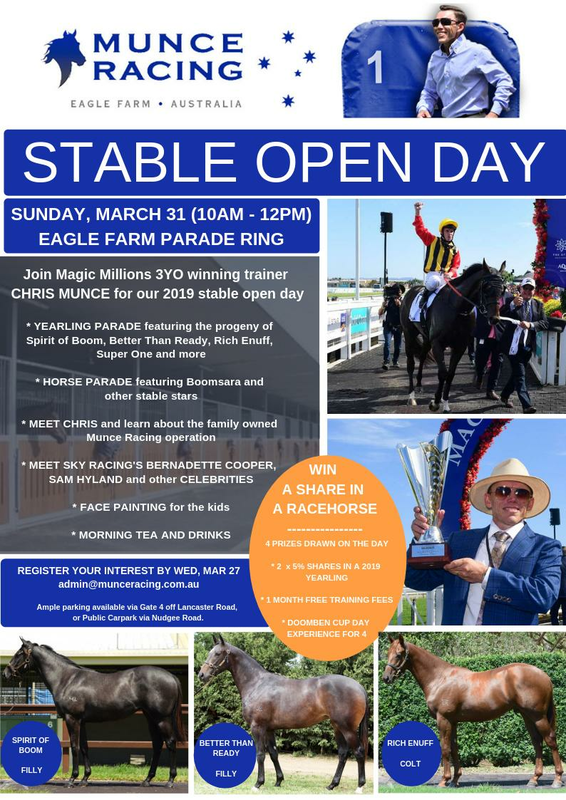 Join us for our 2019 Stable Open Day at the Eagle Farm Parade Ring on Sunday, March 31 (10am - 12pm). - A chance to win 1 month free training fees. - A Doomben Cup day experience for 4.